Our youngest, Debbie, just left for Puerto Rico and her second year of ministering to athletes. She’s thrilled to be going back. There’s an adrenalin rush with anticipated independence and living in a place your family’s never lived or visited. She’s going back seasoned, having lived and worked there for a year. 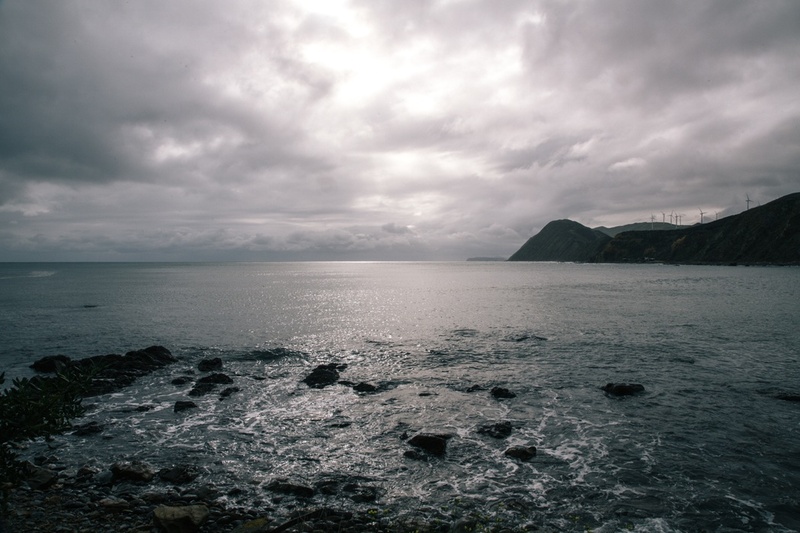 The romance of this island nation has given way to the reality of a country that’s economically challenged, where good jobs are hard to come by. And it’s hot. Little air conditioning. Even though she’s an athlete, Deb’s never been a fan of excessive sweat and heat. She’s choosing to go back. Her heart insisted. Thoughts and emotions were vying for air time in her mind. She didn’t say much. But I’m her mom. I get it. In the days before she left, I’d find her sitting at the breakfast bar, coloring. A dear friend in Ohio had sent me an adult coloring book and a vibrant variety of colored pencils months ago. A whimsical gift that met my soul needs. 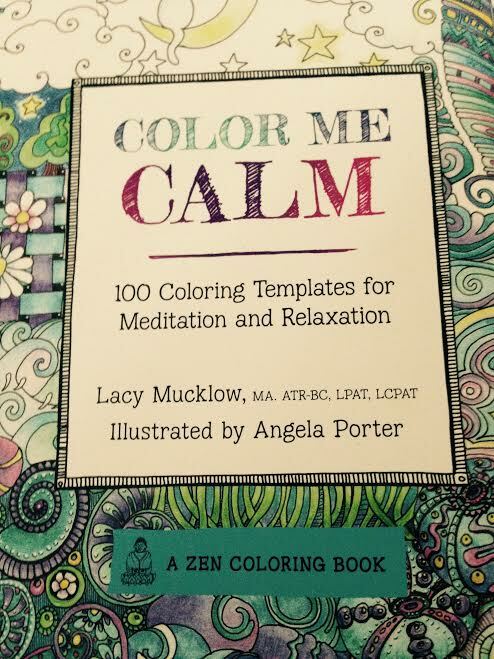 The book is called “Color Me Calm”. A big person’s book that brings back the creative endeavors of childhood. Without performance anxiety. I can color in the lines. Or not. There is no right or wrong way to do it. Freedom and fun in a rainbow of colors. Relaxing and self-soothing. Deb would work at the picture a bit. Walk away. Come back. I could see her visibly relax. Until a few days before she was to leave. So what was meant to be a means to relax now became a project of intent. The goal of finishing superseded the benefit of calmly coloring. How many times have I pathologically struggled to make something count instead of enjoying the moment? How often have I lost sight of the fun of being with people because I was in a snit to get something accomplished? I’m actually pretty good at being in the moment–until I’m not. The S (should, not snarky) word can sit on my shoulder like a burdensome boulder. I lose sight of what’s in front of me. I color faster. Harder. Forget about the joy of choosing the right colors. The lines and spaces mock me. Jesus never rushed. He was a master at being in the moment. With the people He cared about. The ones He came to help. Peace. Calm. Not a norm for this world. A gift from the One who created this world. I’m going to choose to take time to color a picture. And give Jesus the opportunity to color my heart with who He is. Maybe even outside the lines. Posted by daylerogers on August 20, 2015 in Uncategorized and tagged "Color Me Calm" by Lacy Mucklow, adult coloring book, athletes, colored pencils, coloring books, Deb, God, hurried, Jesus, ministry, Puerto Rico, relaxed. Great post! I struggle with this as well. As an artist, I think drawing should be calming, but if I don’t get my project done in one sitting, I get irritated and stressed. God’s given me a gift, and I should joy in doing it for His glory. Remembering this helps me calm. Anyone who has been given the gift of creating beauty should use it to share with those of us who can’t–and who love the process and the finished product! Bless you for using your art for His glory. For allowing His creative genius to work through you, reflecting Him! Thanks for your encouraging words, my friend. Deb’s heart insisted, along with yours and mine, Dayle! [Have to get that coloring book as well]! Have to have JESUS color my HEART also! Blessings and Love to ALL! 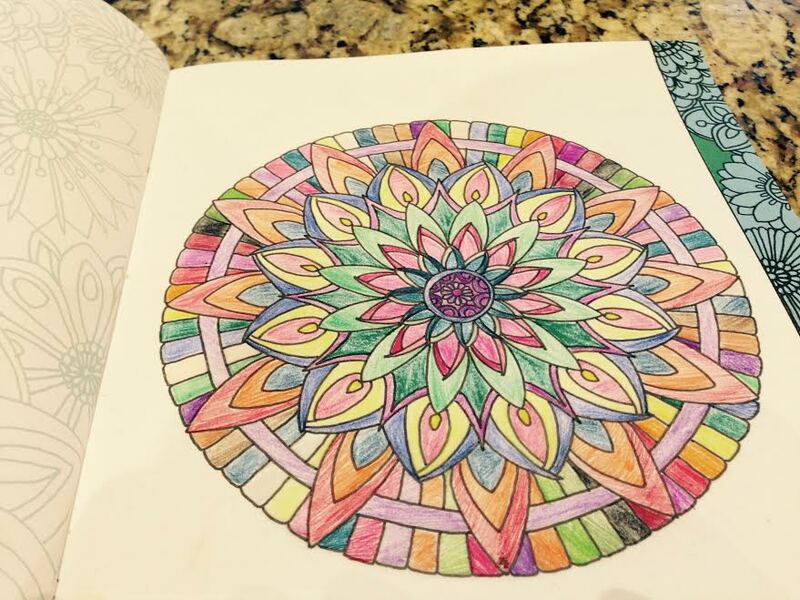 Coloring is calming! No doubt about it. And yes, her heart did insist–and she listened! I’m so grateful when I see my kids make good choices. Thanks for walking this journey with me, my friend. I could kick myself around the block, when I think about the fact that we lived a 1/2 dozen houses apart and I spent so little time with you. What a treasure I missed out on. You inspire me and challenge my socks off every time. I love you! My friend, we both missed out. Life got too busy. I missed the chance to learn from your wisdom and experience. It’s one of the reasons an eternity with God’s family has always sounded so wonderful–time to connect and be with those whose hearts are eternally knit together with mine. Thanks for your encouraging words, Jeannie. I love this and can totally relate. Getting into the right brain is so necessary and that is such a left brained thing to say. But I had to laugh when you said,” Forget about the joy of choosing the RIGHT colors.” It resonates. You know, my friend, I think I’b be happy to find any part of my brain that worked on any given day–left or right! But you’re so right about how and where we operate from. Thanks for your encouraging words, Laurie. It means a lot.